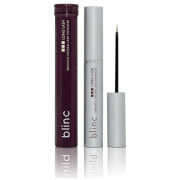 blinc Mascara - Medium Brown is the most-innovative mascara to hit the market. It forms tiny water-resistant "tubes" around your lashes that can be easily removed with water. It won't run or smudge, even through tears and sweat. Medium Brown is a true shade of brown. Ideal for those with sensitive eyes, contact lens wearers and everyone else. 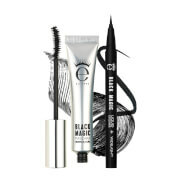 Apply as you would your normal mascara, starting at the base of lashes and working upward. If you wish to apply a second coat, do so immediately, as mascara will dry quickly. To rinse off, simply use warm water and light pressure. The mascara forms tubes around your lashes and will slide off easily. 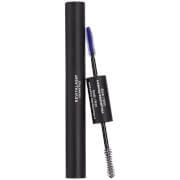 Water, unlike oil allows the mascara to adhere to itself, rather than your lashes, making the tubes slide off easily with water. 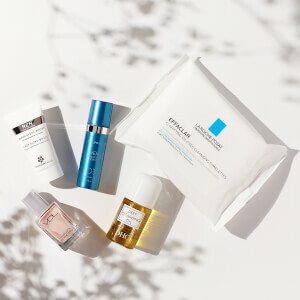 Water (Aqua), Ammonium Acrylates Copolymer, Propylene Glycol, Acrylates Copolymer, Triethanolamine, Isopropyl Alocohol, Sodium Dehydroacetate, Methylparaben, Propylparaben, [May contain (+/-): Iron Oxides (Cl 77499, Cl 77492, Cl 77491), Ultramarines (Cl 77007), Mica, Titanium Dioxide (Cl 77891)]. I was happy to find a good mascara in BROWN that doesn't clump like most fibre mascaras. A bit pricey but definitely worth a try!